Copyright © 2013 F. D. Por et al. This is an open access article distributed under the Creative Commons Attribution License, which permits unrestricted use, distribution, and reproduction in any medium, provided the original work is properly cited. Seven years after the discovery of the chemoautotrophic sulfidic groundwater site of the Ayyalon cave, its macrofauna can be fully reviewed. It consists of six endemic stygobiont and troglobiont crustaceans and other arthropods and two species still with unclear status. The taxonomic list is followed by brief discussions on the systematics of the species as well as by a few comments concerning the eventual broader zoogeographical and speleological implications of the Ayyalon faunistic findings, as they appeared in literature. The first notice on the fauna discovered in the Ayyalon cave appeared as a news item in Nature 441 of 8 June 2006. 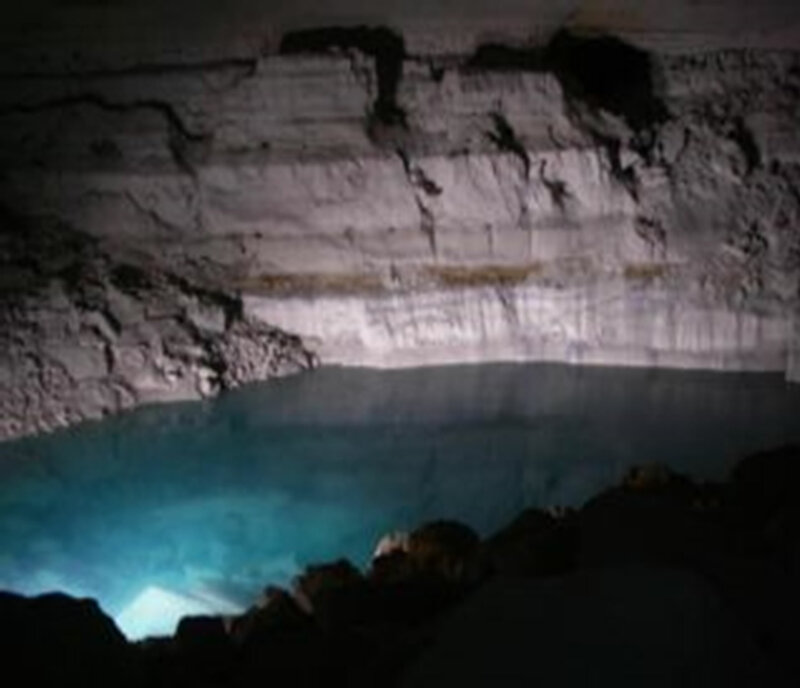 This happened a couple of months after the accidental discovery near the bottom of a quarry, 21 km from the Mediterranean shore by Israel Naaman and a team of volunteers from the Israel Cave Research Center of a secluded karstic void with its hypogenic pool 110 m deep in soft Turonian limestone (Figures 1-3) . A more detailed faunistic publication by Por  followed, characterizing its pristine ecosystem as being sulfide-bacterial chemoautotrophy-based. In all the following zoological publications, the hydrochemical parameters mentioned, were those previously indicated for the whole hypogenic-impacted portion of the surrounding Yarqon-Tanninim aquifer . Naaman  presents a detailed description of the aggressive hypogenic sulfidic genesis of the Ayyalon cave and gives a historical presentation of the decadal anthropogenic drop in the level of the water table which exposed the present pool and its wet surroundings (Figure 2). Although the thesis is written in Hebrew, it presents the hydrographic data of four years of monitoring (2007- 2010) in the attached tables and its English abstract. It results that the temperatures were in the range of 28.8˚C - 29.6˚C in the 5 m. deep pool, about 5˚C above the average of the aquifer. Table 6 in  mentions presence of severe hypoxia with DO of 0.07 - 0.08 mg/l O2, equipment being used in later measurements being unable, as it often happens, to detect already any traces of oxygen. The value of dissolved H2S indicated is between 4.4 - 4.7 mg/l and of total dissolved solids of 1371 ± 395 mg/l. The comparative Carbon and Nitrogen isotope data of the Ayyalon biota will be published separately by Naaman. Figure 1. Location map of the Ayyalon cave (Israel). Figure 2. Schematic cross section of the Nesher quarry showing the Ayyalon cave (at approximate aquifer level in May 2008) modified after Naaman, 2011). Figure 3. The hypogenic pool in the lower storey of the Ayyalon cave by the time of its discovery in 2006, at relatively high water table stand (photo I. Naaman). Figure 4. Inhabitants of the Ayyalon cave. (a) Tethysbaena ophelicola (Photo N. Ben Eliahu); (b) Typhlocaris ayyaloni (Photo D. Darom); (c) Ayyalonia dimentmani (Photo I. Naaman); (d) Akrav israchanani (Photo I. Naaman). have been formulated on the basis of this material. 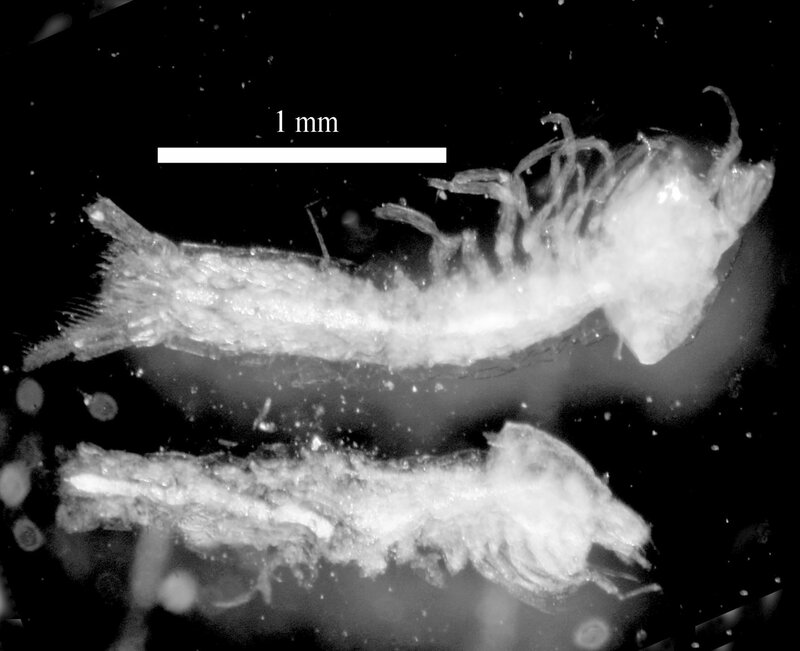 Tethysbaena ophelicola Wagner, 2012 (Crustacea: Thermosbaenacea) (Figure 4(a)). Typhlocaris ayyaloni Tsurnamal, 2008 (Crustacea: Decapoda) (Figure 4(b)). As indicated by the year of their description, 6 of the 8 species on the list are new and presently restricted to the aquifer of Ayyalon. The taxonomic position of the other two, though most probably new species too, is presented below. About Metacyclops longimaxillis, Defaye & Por  mention especially the remarkable size of its maxillae and the long setation of the mouthparts which might be related to its filtrating feeding. This feature among others might have granted a special generic status, but this should wait for a revision of the very large genus Metacyclops which counts today 61 species and subspecies. The new species is close to Metacyclops stammeri Kiefer, 1938 from Italy and from Dalmatia. M. longimaxillis lives in the Ayyalon pool in large reproducing populations. The small, compact-shaped, 0.74 mm females bear a pair of sacs with three large eggs each. Metacyclops subdolus Kiefer, 1938, is a species originally described from Southern Italy and specimens under this name have been reported from groundwaters from many localities along the Northern Mediterranean shores. The Ayyalon specimens correspond to the main diagnosis of this species. In Israel cyclopoids identified under the same name were reported by Dimentman & Por  from a Dead Sea shore spring and by Defaye & Dussart  from wells in the Negev and both differ among them and from the Ayyalon specimens. The lack of a good description of the Italian type species adds new dimensions to the complicated Metacyclops subdolus problem. Defaye & Por  present a detailed description of the aquifer of the Ayyalon cave specimens, as a contribution to a future revision. This species is rare in the Ayyalon pool and better represented in a bore hole nearby. The elongate-shaped females of average 0.91 mm bear sacs containing 6 medium-sized eggs each. Tethysbaena ophelicola was submitted by Wagner  to the same cladistic analysis he used in his monograph of the order Thermosbaenacea  and it results that the new species connects nearest to Tethysbaena relicta (Por) from the Dead-Sea Jordan Rift Valley and to Tethysbaena somala (Chelazzi & Massana) from Somalia. Very numerous in the pool in all its reproductive stages, Wagner  considers the new species as typical for the sulfide bacteria feeding and microaeroby-adapted Thermosbaenacea. Por  found the digestive tube of T.ophelicola filled with bacterial cells and Wagner (op.cit.) confirmed it. The blind prawn Typhlocaris ayyaloni Tsurnamal of Ayyalon is the fourth species of its genus. The first species, Typhlocaris galilea Calman, 1909 was described from the Tabgha springs in the Jordan Valley of Israel, the second from Southern Italy and the third, from Cyrenaica in Libya. Tsurnamal  emphasizes that the Ayyalon species eventually differs morphologically from the rest of the three congeners even at a generic level, but genetic techniques would be needed in order to explain this phylogeographic situation. Though hundreds of prawns seem to inhabit the pool no juveniles of less than 12 mm or egg-bearing females were found and Tsurnamal supposes that they reproduce in the fresh and cool aquifer. Remarkable is the observation by Naaman , that the T.ayyaloni prawns swim upside-down when in the open water, presumably feeding on the bacterial crust. Some 30 carcasses of the scorpion Akrav israchanani were found on the rock expanses in the Ayyalon cave by Naaman  using UV reflection, but no live specimens. The extremely still atmosphere of the pristine accessed void preserved several complete but very friable carcasses enabled Levy  to recompose and describe the scorpion species as belonging to a new genus Akrav and to establish for it a new family, the Akravidae. Examining the same material after Gershom Levy’s untimely death with more advanced means, Fet, et al. questioned the new family status. A previously supposed mite specimen (Dimentman, in. litt. ; Por ) found inside one of the carcasses, was identified by these authors as a scorpion embryo. Fet et al. speculate that the unusual beak-shaped tips of the pedipalps of Akrav might serve to spear-catch prawns in the pool, their unique available adequate prey. The causes for the collective demise of the scorpions in the surrounding of the Ayyalon pool gave rise to much discussion among the researchers. Naaman  is probably right when he relates the distribution of the scorpion carcasses in the cavern with the shrinking of the pool, like it occurred during his research. According to him, a fall of about 12 m in the water table between 1960 and 1991, as a result of overpumping caused the extermination of the scorpions. The false scorpion Ayyalonia dimentmani described by Čurčič  is a more straightforward case. The new species is also classified as a new genus and a new tribe (Ayyaloniini) of the family Chthoniidae, but its author does not present the diagnostic differences for his decision. The justification is that there are gaps in the knowledge about eventual intermediate species and genera of the larger species group to which Ayyalonia belongs. Nevertheless Čurčič  considers the new species to be a geographically isolated tropical occurrence which he tries to explain as being the relic of a Mesozoic or late Miocene circum-tropical distribution. The false scorpion is fairly frequent on the wet rock around the Ayyalon pool. The springtail of Ayyalon has been preliminarily identified as Troglopedetes sp. by W.Weiner (Krakow) and by L.Deharveng (Paris) (in letteris to Dimentman). Collembola are an extremely important component of the hygropetric fauna of Ayyalon and we attributed much importance to see them identified properly. Unfortunately the most updated situation is as follows: “…the species seems to be new to science and differs from the ones from Syria and Lebanon, by at least much more pronounced troglomorphy (thin claw and elongate mucro). The difficulty to replace it in the large genus Troglopedetes is that we have not the chaetotaxy of the species described so far in the Mediterranean region…” (Louis Deharveng to Chanan Dimentman, June 2011). This being the case, we decided not to wait anymore with our faunistic summary. The new species of silverfish Lepidospora (L.) ayyalonica n.sp. has been described by Mendes et al. only from a single collected male specimen. The authors consider if their specimen is a true troglobite, or a deep soil species that arrived in the cave accidentally after its opening. The authors mention however, that the Ayyalon species is much larger and has longer and thinner appendages than most of the species of its Eastern Mediterranean subgenus Lepidospora s.str. . It is worth mentioning that the family of the Nicoletiidae, to which L. ayyalonica belongs, is primarily subterranean, some species of them inhabiting the deepest caves in the world. Engel  presented a first summary of the faunal diversity in the sulfidic karst habitats of the world. Since then, perhaps the most important addition was the discovery of the diversified niphargid fauna of the Frasassi pools [15,16]. In the Ayyalon pool system both aquatic and hygropetric species are accompanying the active hypogenic-sulfidic formations. The comparative importance of the two components depends on the position of the sulfidic pool relative to the water table .The terrestrial species predominate when the system is open and above the water table and the aquatic species belong to originally vadose taxa or are even stygoxenes. The novelty of Ayyalon resides in the fact that hygropetric terrestrial arthropods accompany in the sulfidic systems a typical stygobiont groundwater fauna even deep in the secluded confined aquifers. Remarkable is the predominantly upside-down swimming posture of Tethysbaena (Por, 2008) and the occasional back-down swimming at the pool surface of the prawn Typhlocaris (an observation by Naaman, mentioned by Tsurnamal . This corresponds to the report of the amphipod Niphargus ictus that is swimming upside-down on the surface of a sulfurous lake in Frasassi cave . This seems to be therefore a general adaptative trait of life for oxygen replenishing. Chemoautotrophy was assumed in the complete isolation and pristine conditions of the karstic void encountered at Ayyalon following the visual observation of the ample bacterial mats as well as of the Tethysbaena specimens feeding on the bacteria . Carbon isotope analysis on the Akrav carcasses by Dr. Boaretto [10,11] indicated local origin of the organic matter and excluded allochthonous origin. Later data confirmed the chemoautotrophic base of the ecosystem. Wagner  made an attempt to draw a food-chain for Ayyalon. He considered his Tethysbaena ophelicola to be a “prime consumer” in this chemoautotrophic system. Por , in more general terms, separated an aquatic from a terrestrial food chain. Within the aquatic food chain he distinguished what are called permanent residents of the sulfidic pool from visitor species. Permanent residents are Metacyclops longimaxillis and Tethysbaena ophelicola, both crustaceans, mass-developing and reproducing in the near-anaerobic, sulfidic and hot water of the pool. Visitor species are Metacyclops subdolus and Typhlocaris ayyaloni which are thought to be more frequent outside the pool and only or mainly coming to feed on the abundant bacterial resources in the pool . The prawn is sought by Tsurnamal to reproduce only outsides the thermohaline waters, like its congener, the prawn of the Galilee Typhlocaris galilea Calman, where this has been proven under laboratory conditions [18,19]. The dense populations of resident species in the Ayyalon chemoautotrophic system as well as of many of the Movile species (Sârbu personal communication) and of Niphargus ictus G.Karaman in Frasassi  do not correspond to the reigning idea that subterranean species are K-selected [20,21]. The intestinal tract of many of the specimens of Tethysbaena ophelicola of Ayyalon, even of young free stages ,were seen as completely filled-up with bacterial cells (see Figure 5) [1,7]. This could be an instance of endosymbiotic relationship, keeping in mind the example of the recent well-described ectosymbiotic relationship between Niphargus ictus and filamentous Thiothrix bacteria in the sulfurous pools of Frasassi . A possibly ectosymbiotic bacterial cover on the specimens of the prawn Typhlocaris ayyaloni is mentioned by Tsurnamal , as being renewed after each molt. Figure 5. Sub-adults of Tethysbaena ophelicola with digestive tract filled with bacteria (photo N. Ben Eliahu). Ayyalon type over whole aquifers. This centrifugal scheme is assumed by Por  as the basis for the existence of an energetically autonomous world-wide subterranean biome, called Ophel, which does not depend, or does not depend exclusively, on import of photosynthetates from the epigean world, as generally accepted till now . Some parallels and comparisons were seen with other chemosynthesis-based aquatic biomes, especially with the mid-oceanic hot vents and their extremophilic faunas [17,21]. The life of the sulfidophilic Tethysbaena under microaerobic and anaerobic conditions relates to the basic issue of the biochemical and physiological adaptations to anoxia of the whole crustacean order of the Thermosbaenacea [24,25,21] and of the Metazoa in general [26,27]. Under the zoogeographic aspect, three of the crustaceans of the Ayyalon fauna representing, or partly representing the Israeli Mountain Aquifer or Yarqon-Tanninim Aquifer , have their vicariants in the Dead Sea-Jordan Aquifers. These are Typhlocaris galilea Calman, Tethysbaena relicta (Por) and another type of Metacyclops subdolus (see above p. 5) . This pattern can be explained by the prevailing tropical marine relict hypothesis of which one of us was a proponent in the past , assuming separate stranding events occurring in the watershed areas of the two aquifers. There is seemingly more likelihood for an originally common aquifer in the sense of Danielopol and Rouch  in which the parent species spread actively, only to be split in two at a later date, by the rising Judean mountain range and/or the rifting of the Jordan-Dead Sea graben. The existence of an energetically independent chemosynthesis-based subterranean biome, as stated by Por’s Ophel hypothesis, supports this dispersalist view. Accordingly  there would exist even an entire world-encompassing groundwater zoogeographic system in parallel with the epigeic aquatic one (see also Negrea; Humphreys et al., ). Porter and Culver’s  preliminary data also suggest that the prevailing historical zoogeographic paradigm of the origin of the stygobionts as stranded Tethyan marine relics should be replaced. Typhlocaris galilea, which is morphologically very different from T. ayyaloni has been compared to it by molecular divergence methodology (Prof. Y. Achituv, pers. comm.). If the same could be done also with Typhlocaris salentina Caroli for example, which is morphologically much more similar to T. galilea , but geographically so much more distantly located in southern Italy, we could have a more tangible phylogeographic answer to the two competing zoogeographical hypotheses. The real conundrum is that with the terrestrial species of the Ayyalon cave. It is unlike the extremely diverse hygropetric fauna of Movile, which is composed mainly of new species which are congeners of epigeic genera present in the surroundings that penetrated into the “dry bells” of that cave system possibly in relatively young geological past . On the contrary, the scorpion and the false scorpion are high taxonomic level endemics, with at best, distant tropical relatives. Their survival in there for millions of years implies the existence of a continuum of air spaces which accompanied the continuum of the aquifer, tens or even hundreds of meters below the surface . The judgment on this issue is still out, like on the several other aspects discussed above, not to mention the untouched fields of the microbiology and protozoology of the groundwaters accessed in the Ayyalon cave. Therefore it would be highly desirable to have soon, other similarly accessed pristine sulfide-enriched groundwater systems to compare with. A new paradigmatic speleological triade: hypogenic generated sulfide oxidativebacterial chemoautotrophy is taking shape, besides the dominant paradigmatic epigenic-carbonic acid-allophototrophic triade. Naaman, I. 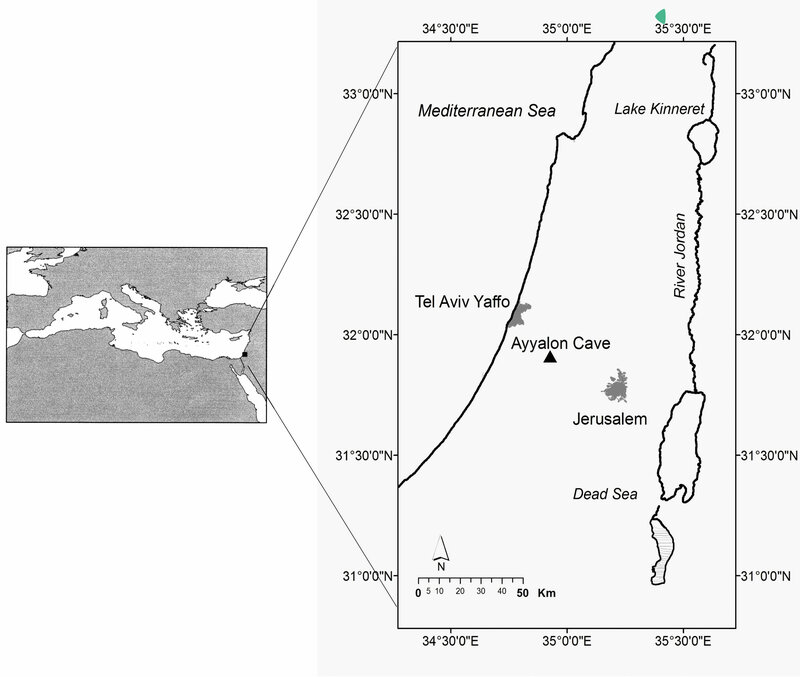 (2011) The karst system and the ecology of Ayalon Cave, Israel. M.S. Thesis, Hebrew University of Jerusalem, Jerusalem. Dimentman, Ch. and Por, F.D. (1991) The origin of the subterranean fauna of the Jordan-Dead Sea Rift Valley: New data. Stygologia, 6, 155-163. Wagner, H.P. (1994) A monographic review of the Thermosbaenacea (Crustacea: Peracarida). Zoologische Verhandelingen, 291, 1-338. Tsurnamal, M. (2008) A new species of the stygobiotic blind prawn Typhlocaris Calman 1909 (Decapoda, Palaemonidae, Typhlocaridinae) from Israel. Crustaceana, 81, 487-501. Fet, V., Soleglad, M.E. and Zonstein, S.L. (2011) The genus Akrav Levy, 2007 (Scorpiones: Akravidae ) revisited. Euscorpius-Occasional Publications in Scorpiology, 134, 49 pages. Mendes, L.E., Molero-Baltanás, R., Bach de Roca, C. and Gaju-Ricard, M. (2011) New data and new species of Microcoryphia and Zygentoma (Insecta) from Israel. Annales Societée Entomologique France, 47, 384-393. Engel, A.S. (2007) Observations on the biodiversity of Sulfidic Karst Habitats. Journal of Cave and Karst Studies, 69,187-206. Flot, J.-F., Wörheide, G. and Dattagupta, Sh. 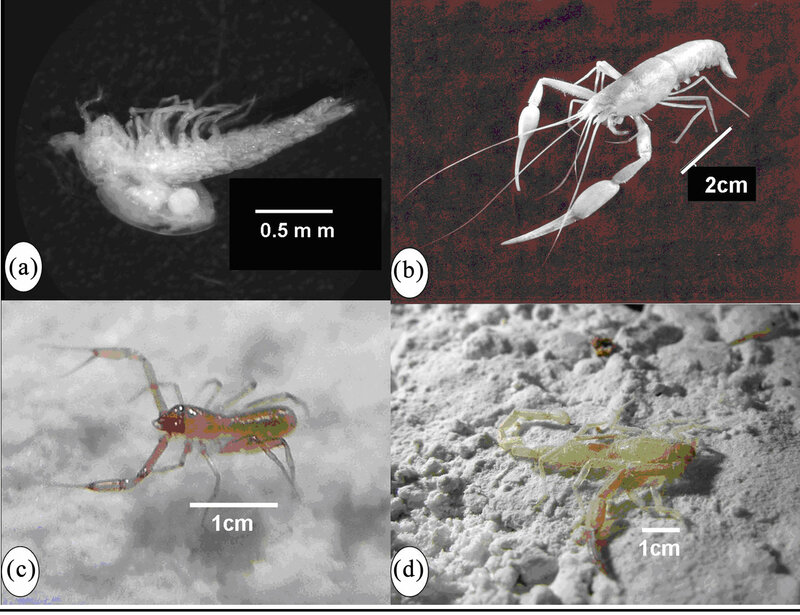 (2010) Unsuspected diversity of Niphargus amphipods in the chemoautotrophic cave ecosystem of Frasassi, central Italy. Evolutionary Biology, 10, 14 pages. Karaman, G.S., Borowsky, B. and Dattagupta, S. (2010) Two new species of the genus Niphargus Schiödte (Amphipoda fam. Niphargidae) from the Frasassi cave system. Zootaxa, 2439, 35-52. Por, F.D. (2011) Groundwater life: Some new biospeleological views resulting from the ophel paradigm. Travaux de l’Institut Spéologique “Émile Racovitza”, 61-76. Hüppop, K. (2001) How do cave animals cope with food scarcity in caves? In: Wilkens, H., Culver, D.C. and Humphreys, W.F., Eds., Subterranean Ecosystems, Elsevier Press, Amsterdam, 417-432. Hüppop, K. (2005) Adaptation to low food. In: Culver, D.C. and White, W.B., Eds., Encyclopedia of Caves, Elsevier Academic Press, Amsterdam, 4-10. Por, F.D. (2012) Ophel, the newly discovered hypoxic chemolithoautotrophic groundwater biome: A window to ancient animal life. In: Altenbach, A.V., Bernhard, J. and Seckbach, J., Eds., Anoxia: Evidence for Eukaryotic Survival and Paleontological Strategies, Springer Verlag, 465-478. Oren, A. (2012) Diversity of anaerobic prokaryotes and eukaryotes: breaking long-established dogmas. In: Altenbach, A.V., Bernhard, J. and Seckbach, J. Eds., Anoxia: Evidence for Eukaryotic Survival and Paleontological Strategies, Springer Verlag, 41-47. Por. F.D. (1986) Crustacean biogeography of the Late Middle Miocene Middle Eastern Landbridge. In: Gore, R.H. and Heck, K.L. Eds., Crustacean Biogeography, Boston, 69-84. Danielopol, D.L. and Rouch, R. (2005) Invasion, active versus passive. In: Culver, D.C. and White, W.B., Eds., Encyclopedia of Caves, Elsevier Academic Press, Amsterdam, 305-310. Negrea, S. (2009) A remarkable finding that suggests the existence of a new groundwater biome based on chemoautotrophic resources, named “Ophel” by F. D. Por. Travaux de l’Institut Speologie Emile Racovitza, 48, 83- 91. Porter, M.L. and Culver, D.C. (2010) Tethyan distribution of stygobionts: Fact or fiction? 20th International Conference on Subterranean Biology, Postojna, 29 August-3 September 2010. Sârbu, S.M. (2001) Movile, a chemoautotrophically based ecosystem. In: Wilkens, H., Culver, D.D. and Humphreys, W.F., Eds., Subterranean Ecosystems of the World 30, Elsevier, Amsterdam, 319-343.